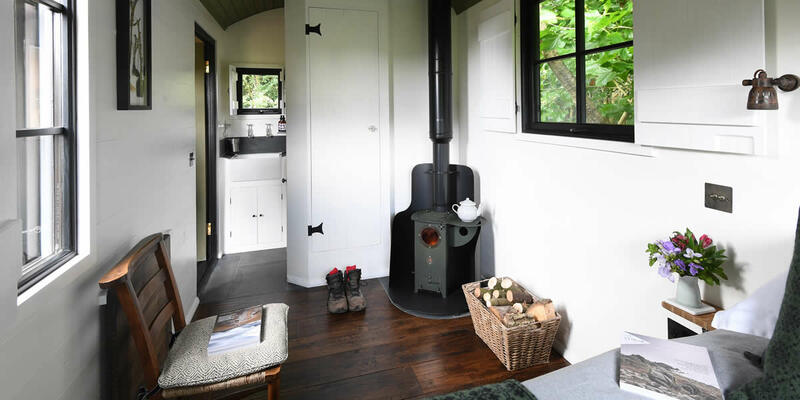 The Bugail Hut is nestled into the secluded arboretum and sheltered below a tulip tree. Snuggle up in bed with views of nature all around, you can see out but no one can see in. 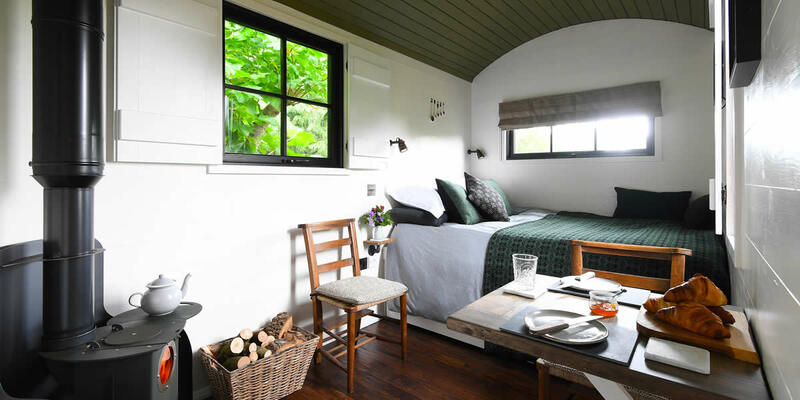 Unlike a traditional shepherds hut, the Bugail has large windows enabling you to be surrounded by nature with the comforts of luxury and warmth. 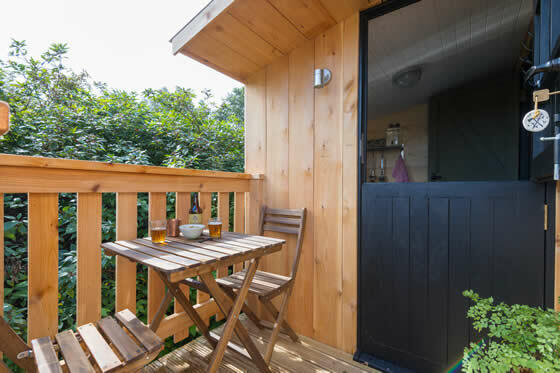 Bugail hut has its own little kitchen annex and charming bathroom, terrace and wood burner. 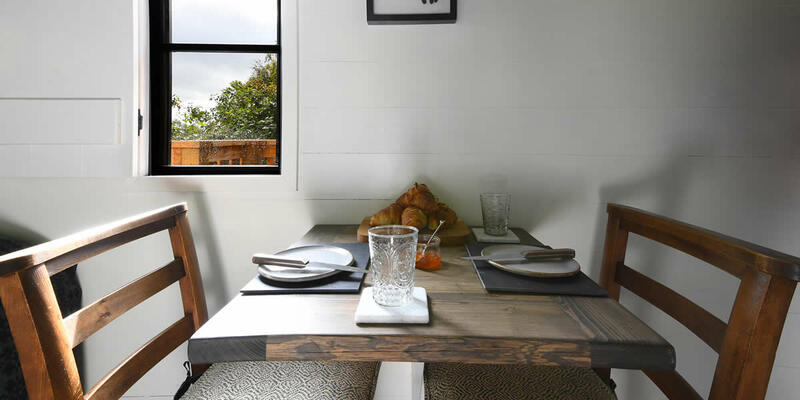 You can dine beside the burner or on your terrace with views across the meadow. The first evidence of a wheeled shepherds hut is 1596. 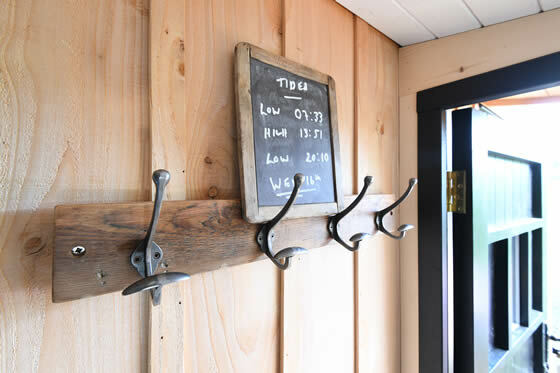 The shepherd’s hut was introduced so that the shepherd could live in the pasture for extended periods of time and was a haven of warmth and comparative comfort. 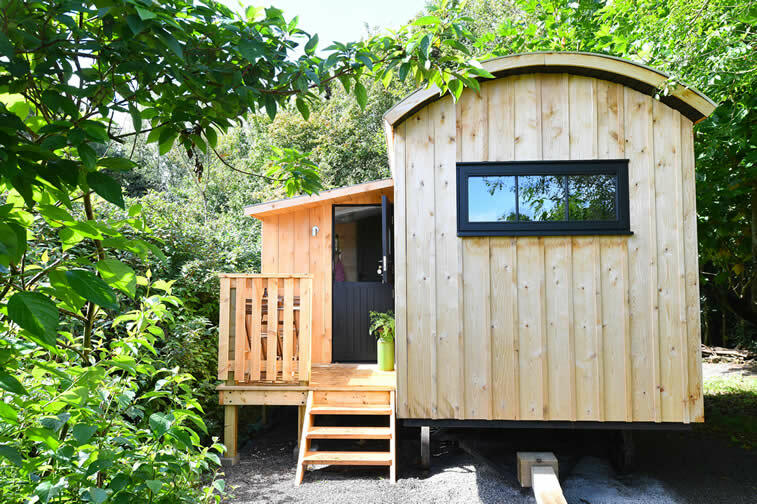 Such huts were widely used throughout Wales and followed a similar basic design with a curved corrugated iron roof and stable door, small high windows and cast iron wheels. The interior was usually simply furnished and was warmed by a small cast iron stove. We had a lovely time. 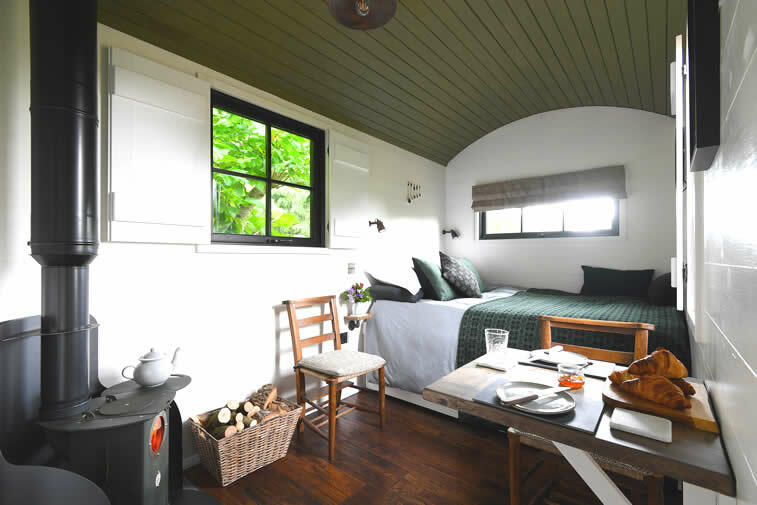 The cabans were perfect. 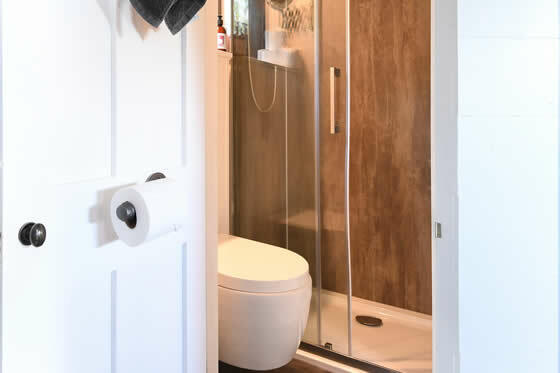 Kitchen and shower facilities excellent too.So good to have all those facilities. We appreciated the extra wood delivered. Would be nice to provide a couple of extra tealights (we often bring, but forgot). Great hosts and inspirational environment!